Mi Elite’s annual Holiday 5v5 is set for December 15, 2018 at Summit Sports and Ice in Lansing. Information regarding the tournament can be found below along with the team registration. College coaches will also be in attendance at the tournament. The team organizer or coach should fill out the Team 5v5 Registration form. After registration, you will be mailed a form to complete your roster and will be sent the waiver forms. The waivers should be mailed in along with the team payment or can be brought to the tournament the day of the event. The mailing address is Mackenzie Lawler, 55 Ottawa Ave SW, Apt 802, Grand Rapids, MI, 49503. Checks should be made out to Mi Elite Lacrosse. Each winning team from the division will win a set of Mi Elite t-shirts. A team must consist of at least 5 players and should try to have a goalie. Goalies are allowed to register individually or play for multiple teams. Please contact us at mielitelacrosse@yahoo.com with questions regarding goalies. A maximum of 10 players is allowed per team. Coaches are welcome but not required. PLEASE SEND ALL CHECKS AND PAYMENT TOGETHER WITH WAIVERS. Play will be full field (the fields are not regulation size) and will be twelve minutes in length. There will be three minutes between each game. The number of games guaranteed is dependent on the number of teams participating but our goal is to have each team get at least 5 games including pool play and tournament games. The cost is $375 per team and is due by 12/1/2018. The tournament will sell out! Please complete your registration ASAP. No refunds will be issued for any reason. 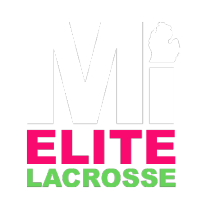 Checks may be payable to Mi Elite Lacrosse and mailed to Mackenzie Lawler at 55 Ottawa Ave SW, Apt 802, Grand Rapids, MI, 49503. Please include all players’ individually waivers as well.